Though it should be stressed that it wasn't for plagiarism. 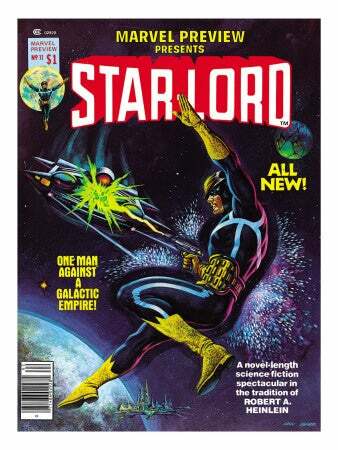 Rather, he objected to the "in the tradition of ROBERT A. HEINLEIN" blurb on the cover of Marvel Preview #11 (1977). The writer, Chris Claremont (yes, that one) had drawn heavily on Heinlein's juveniles for his storyline, and Marvel had decided to use that inspiration as a selling point. Heinlein was not amused, believing that readers could mistake the blurb for an endorsement or the comic for an adaptation, and the offending text was struck from further reprintings of the magazine. It didn't end too badly though; Claremont's collaborators on that particular Star-Lord story were a couple of young artists named John Byrne and Terry Austin, who'd later join him on the triumphant run of Uncanny X-Men that would transform the series from an obscure cult title into Marvel's bestselling comic book, and eventually, a billion-dollar media franchise.